Express Cash for Cars is your damaged car removal company in Melbourne that will schedule a car removal at a time that’s convenient for you. 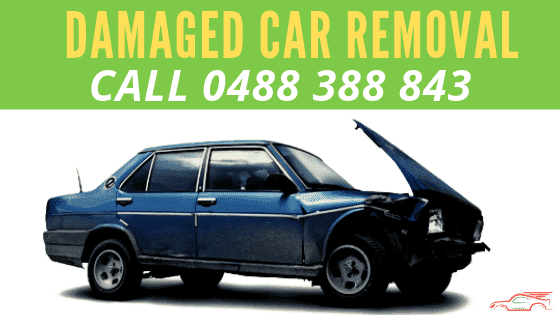 Get cash for your unwanted damaged car when you have us remove it. That’s our policy. To pay damaged car owners’ cash for their cars, trucks, vans, 4x4s, buses, and SUVs. The damage to your vehicle may be so severe that it is not worth the cost of its repairs. Perhaps, you were involved in a fender bender and couldn’t think of a better reason to upgrade your vehicle. Possibly, your car has been broken down for years and badly deteriorated. Whatever the condition of your damaged vehicle you can have it removed for free with Express Cash for Cars. We are a cash for damaged cars removals company that puts green in your hand to be on your way to a newer vehicle. With Express Cash for Cars, you have a damaged car removal company that pays you to remove your vehicle of any make and condition. The car can be shabby in appearance, its engine failed, used condition, old condition, or scrap condition and we are on our way with cash to remove the vehicle. Our removal services are always offered to our Melbourne customers for free, and we pay cash for cars. That means you won’t be reaching into your pocket to shell out a couple of hundred dollars to pay us for towing; we’ll be paying you cash for your damaged car instead. With Express Cash for Cars, you have free damaged car towing that pays cash. So, whatever the make or condition of your car, get it sold instantly by contacting Express Cash for Cars. Cars that are not worth their value to repair will have parts pulled and metals recycled so that we can make a top cash payment to the owners. 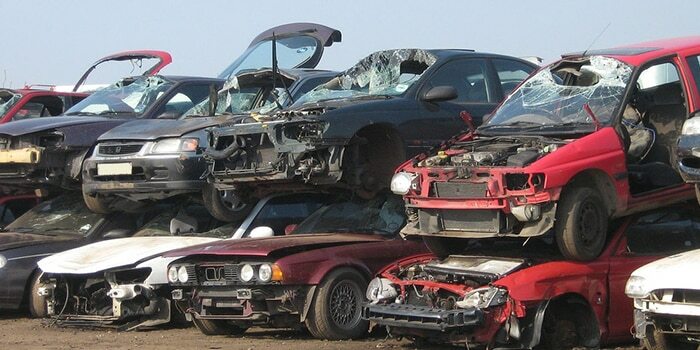 Express Cash for Cars is wreckers and recyclers as well as resellers of vehicles of every make and condition. With our expertise, we can take a vehicle that has been written off and offer the owners cash for their cars. Contact us for a cash for damaged cars quote. We will require the make, model, year, and a complete description of the vehicle. So, have that information ready. Schedule a free car removal in Melbourne. When our technician arrives to remove your vehicle, please have the plates of the vehicle removed, your photo ID ready, and the title of ownership for the vehicle or its registration. To have Express Cash for Cars valuate your vehicle, please contact us at the number below. We will valuate your vehicle, based on the information you provide. And once you accept our quote, a free removal will be scheduled. To obtain an online quote, please complete our online quote form at the top right of this page. With Express Cash for Cars, your car sale will be done fast and done right! Call us for a cash quote at 0488 388 843.